Chamber Friday University Session "Personal Effectiveness in Achieving Common Goals"
Have you ever asked yourself how to be more effective in your daily work and life? What skills would help you to perform better? What are the main skills you should develop in order to achieve greater results? Our personal effectiveness depends on our Emotional Intelligence, but also on skills such as Problem Solving and Creativity. Participants had an opportunity to experience one of the best business simulations, developed by ASCENDIS, that is called "Conquest of Everest" and discuss Personal effectiveness in achieving common goals. In this "hands on" learning event, participants faced an unusual challenge to conquer the top mountain of the world in a context of: VUCA world, apparent lack of resources, aggressive deadlines, opportunities and threats, competition, need to make quick decisions, the pressure of time, anxiety, physical limits and many others. Marius Opris, Partner, Ascendis. 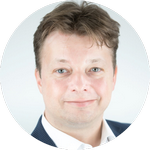 Marius has over seventeen years of business experience in entrepreneurship, multinational companies and consulting. Marius started his training activity in 2004 and was involved in over 15 organizational transformation projects in Romania. During this time, Mr. Opris has held training programs for over 10,000 participants. He has extensive experience as a consultant in the telecommunications, IT&C, energy, pharmaceutics, automotive and retail industries. Chamber Friday University is a series of half-day workshops that aims to give an overview and focus on various topics which may help you in your professional and personal development. These highly interactive workshops use a wide range of formats including video, demonstrations, lectures, discussions and simulations.